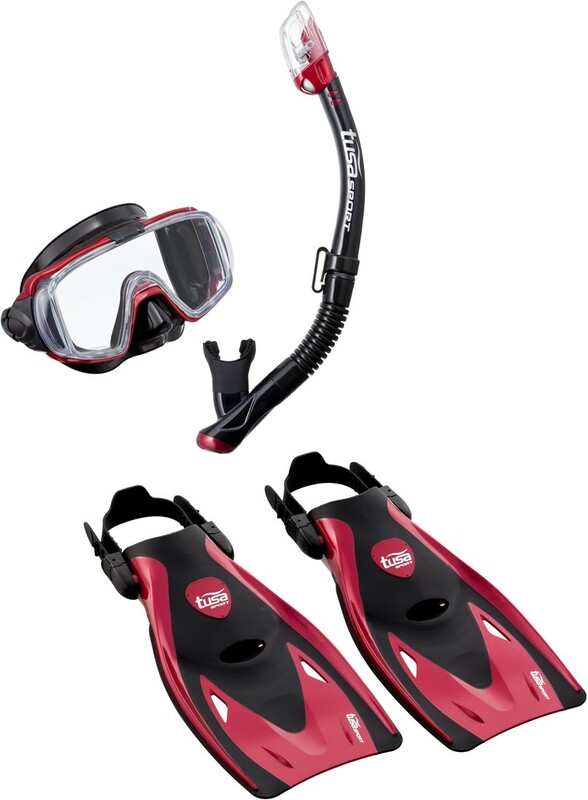 The VISIO TRI-EX adult travel set includes the UM-31 Visio Tri-Ex mask, the USP-250 Snorkel, and the UF-21 Fins. The UM-31 Visio Tri-ex mask is a revolutionary 3-window design that offers an ultra-wide 168° panoramic view. This amazingly wide viewing angle is achieved by the incorporation of domed side windows and the significant reduction of frame structure around the lenses, increasing the field of vision by dramatically over traditional masks. The UM-31 mask gently conforms to the contours of your face. Constructed with crystal silicone, this mask has been crafted for divers who want a wide front lens combined with a low volume design. 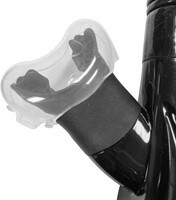 The USP-250 dry snorkel features TUSA Hyperdry Elite dry top technology (pat p) that stops water from entering into the snorkel, a drain chamber and purge valve for easy clearing, and hypoallergenic crystal silicone swivel and mouthpiece. The UF-21 fins have an advanced multi-flex long blade design, thrust channel technology for superior propulsion and the foot pocket is made with a soft, durable compound designed for comfort. The open-heel design allows for quick and easy size adjustment and the silicone heel strap enhances comfort and durability. This fin is engineered to provide a lot of power for its compact size. The fins are lightweight and ideal for travel. Comes standard with a travel bag and TUSA’s industry leading 3 year warranty.